Goodreads says, "Not all those who wander are lost, but Aubree Sadler most definitely is on this novel’s whirlwind trip through Europe. Aubree can’t think of a better place to be than in perfectly boring Ohio, and she’s ready for a relaxing summer. But when her older sister, Elizabeth, gets into real trouble, Aubree is talked into taking over Elizabeth’s summer job, leading a group of senior citizens on a bus tour through Europe. Aubree doesn’t even make it to the first stop in Amsterdam before their perfect plan unravels, leaving her with no phone, no carefully prepared binder full of helpful facts, and an unexpected guest: the tour company owner’s son, Sam. Considering she’s pretending to be Elizabeth, she absolutely shouldn’t fall for him, but she can’t help it, especially with the most romantic European cities as the backdrop for their love story. But her relationship with Sam is threatening to ruin her relationship with her sister, and she feels like she’s letting both of them down. Aubree knows this trip may show her who she really is—she just hopes she likes where she ends up." Aubree Sadler is set for an incredible summer at home with her friends...that is until all of her plans go up in smoke. While throwing a house party to honor the fact that they graduated, her perfect sister, Elizabeth, comes home early. Aubrey is the opposite of Elizabeth. Elizabeth is the perfect student, the perfect daughter, and has an epic summer planned working as a tour guide for senior citizens on their trip through Europe. Aubree's party gets busted by the cops and one particular cop on a power trip has it out for Elizabeth. Before Aubree knows it, Elizabeth is being handcuffed and her plans have derailed for the summer as she is now being held responsible for the underage party. There's only one way that Aubree can make it up to her. Elizabeth convinces Aubree to pose as her so she doesn't lose her job and the recommendation that she needs for her "real" job in politics. So, this means Aubree is spending her summer in Europe as Elizabeth. After all, a summer abroad would be good for her, right? Once Aubree gets to Europe things start to unravel a bit. She loses her binder, which is basically her cheat sheet for all of the tour stops, and her cell phone! Cue all the anxiety. 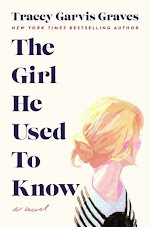 But things start to work out as Aubree builds confidence and to top it off, she even meets a guy who catches her eye. Maybe this summer won't be so bad after all? 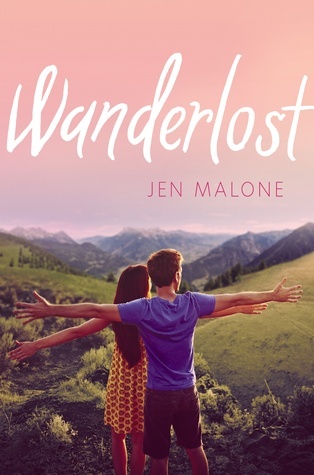 Jen Malone's Wanderlost is perfect for readers who love armchair traveling. Aubree whirlwind tour through Europe had me longing for a trip just like it. I instantly liked the character of Aubree and really felt for her. There's no doubt that she is treated like the "baby" of her family and could actually use a summer to find herself before college. She basically takes a huge plunge by traveling to Europe solo and on top of that, she is responsible for other people! So, obviously, Aubree has big shoes to fill in Wanderlost. I wanted her to step out of the shadow of her older sister and I am glad that she really grows in this story. The various settings are what I really appreciated about Wanderlost. I mean who doesn't want to go on an epic tour through Europe? You can tell Malone really knows her stuff since every tour stop felt so authentic. 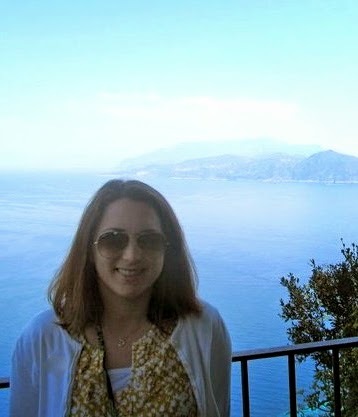 Whether it was Cinque Terre, Rome, Vienna, or Salzburg, it felt like you were on the trip right alongside Aubree. The romance in Wanderlost was really cute and perfect for a light summertime read. I really enjoyed the character of Sam and his witty banter definitely put a smile on my face. The only thing about Wanderlost that made me roll my eyes a bit was the fact that some things didn't seem too believable. For example, she had to trick her parents that she was in Maine and not in Europe. It might be hard to pull that off, especially for an extended period of time. Then there's the fact that she's posing as her college graduate sister who has her act together and speaks Spanish, which Aubree doesn't. Plus, Aubree has never even traveled outside of the US before this trip! So, there were a few moments that I didn't necessarily believe wholeheartedly, but that didn't deter me from enjoying the novel. So, if you are looking to get away on a memorable trip through Europe this summer, but are stuck at home, Wanderlost is the next best thing. It's definitely one of my favorite YA beach reads of the summer and if you're like me, always planning your next getaway, you'll appreciate this novel even more. I'm so glad you liked this too! It does have some believability issues but like you said it didn't detract from enjoying the book. It was fun to armchair travel though I hope I do get to see some of those places in real life someday. Nice review! I agree, Christina! I would love a trip through Europe right about now. The believability issues were my only struggle with this book; otherwise, I thought it was a great summer read. I am glad you agree. Thanks for visiting! Oh, I'm so glad you enjoyed this one, Christina. I'm more than motivated to read my copy now because of your review. I think you'll like it, Joy! Thanks for visiting!